Any brand that markets technology knows it’s a complex and competitive sell. Differentiation is tough. For many tech marketers, it’s not just about features. It’s about how their technology simplifies tasks connecting to entertainment. For EdTech marketers, it’s about connecting students to their studies. We’ve all heard that the US lags behind many other nations in education. And despite investing a lot of tax dollars into education technology, we still rank below average in key areas like Math and Science. So, student achievement is on the top of every educator’s agenda. Whether you’re a superintendent, IT or curriculum director or teacher, everyone is feeling the pressure. And it’s a real problem that needs to be solved. EdTech companies are at the center of a changing industry where students have become more digitally savvy than those responsible for buying the technology. Half of their challenge is translating the benefit of their technology so that students get their “aha” moment and also allows teachers to connect with their students in fun and innovative ways. How does your product fulfill emotional needs? itslearning, a Norwegian-based K-12 learning management system, turned to The Halo Group to help them enter the US education market. 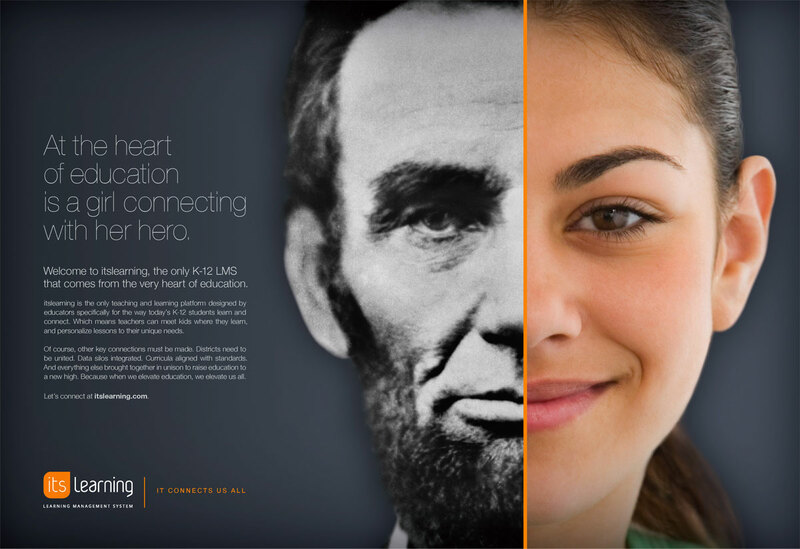 The new campaign we created, “It Connects Us All,” simply and powerfully delivered the emotional benefit of connecting students with their lessons. Educators want to see how a product has the ability to make a real life impact. We captured powerful stories of itslearning students like Karol, a shy kid who, empowered by itslearning, who was able to demonstrate her mastery on her terms, gain her confidence, and is now a leader among her classmates. That’s the holy grail. One of the biggest barriers to selling education technology is getting it into the hands of its primary end users – teachers. For itslearning, we knew we needed to engage teachers as colleagues as well as thought leaders. Knowing that teachers love to share and commiserate, we created the Teacher’s Lounge, an online destination that provided teachers with fun and shareable memes, ideas for techtivities, as well as professional development content. As marketers, we must realize that those involved in the world of education share a deep emotional passion to impact the lives of kids. It’s crucial to speak with the influencers and decision makers who are directly involved in children’s education. By solving real world problems and appealing to teachers, EdTech marketers will get their product noticed and have a competitive edge. Subscribe to our email newsletter for marketing insights and Halo news. Can You Build Your Own GIF? Yes!